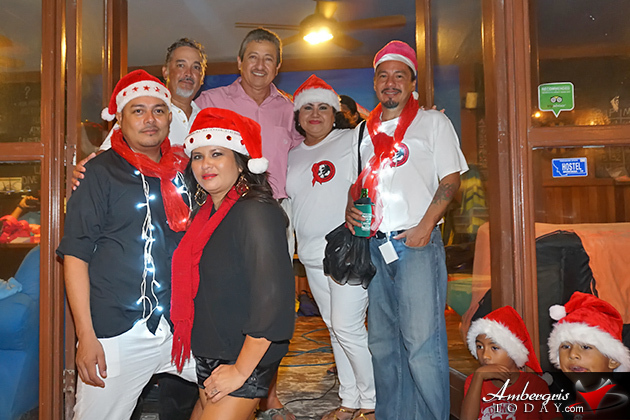 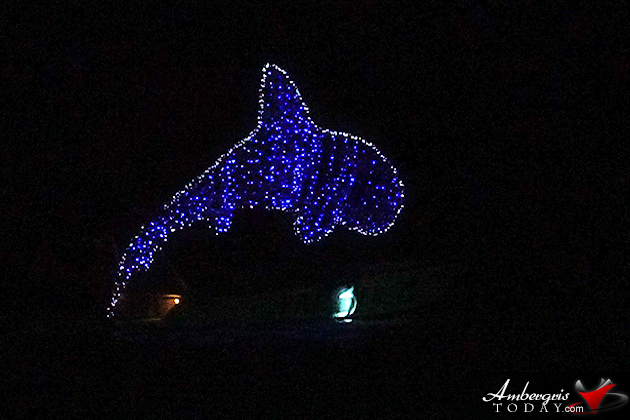 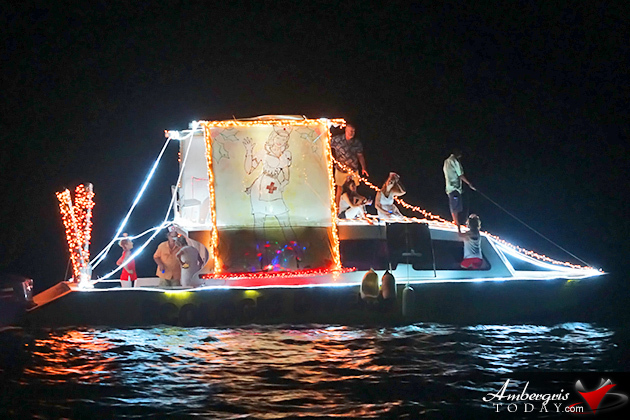 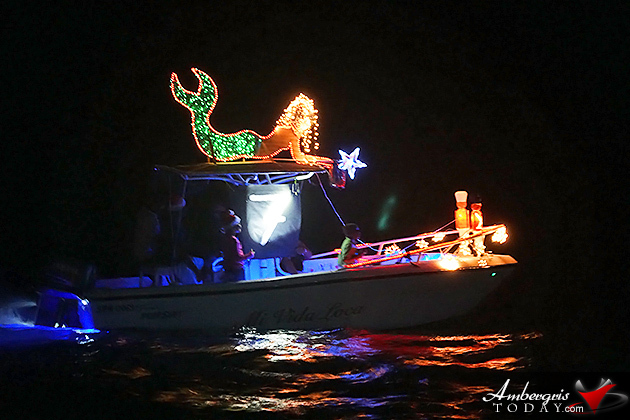 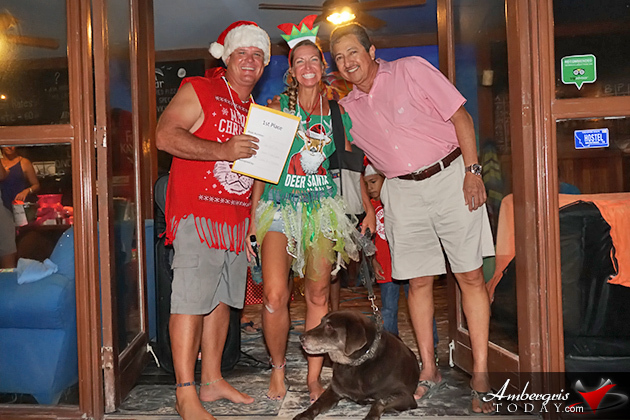 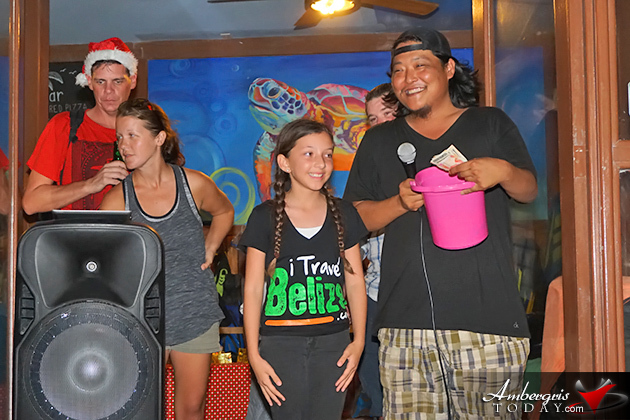 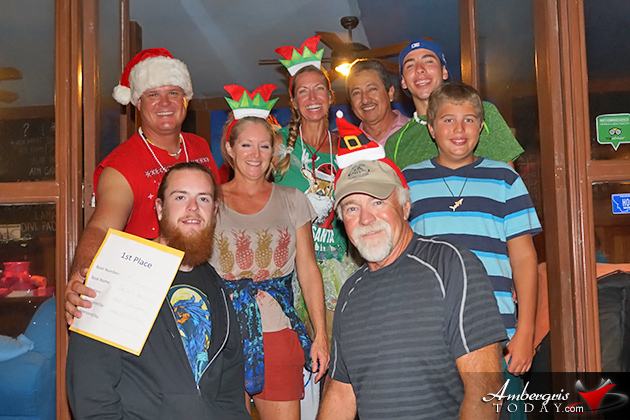 It was a newcomer to the Holiday Boat Parade who won top prize for the best decoration, lights and spirits at this year spectacular event that was held on Saturday, December 17, 2016. 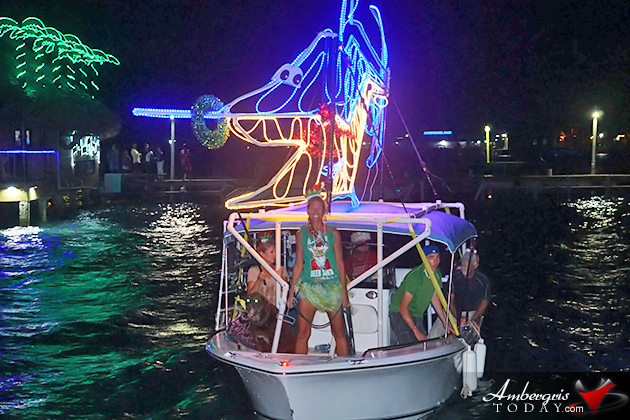 Captains Ronnie and Lisa Cyrier manned a giant marlin atop their small vessel and had spectators in awe with the marlin moving its head and tail. 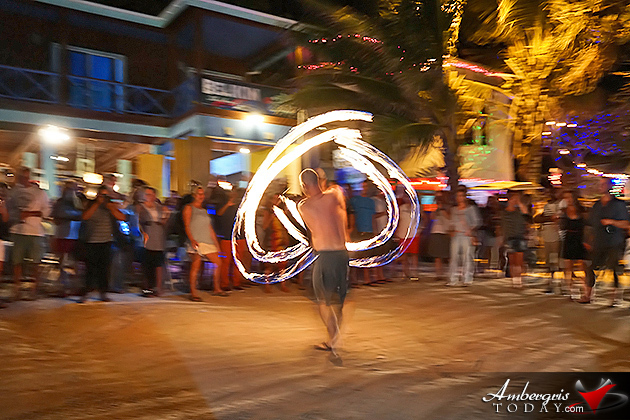 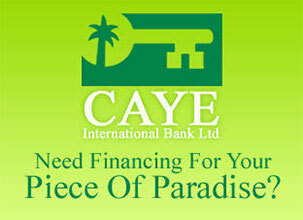 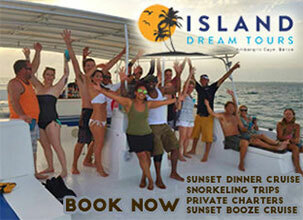 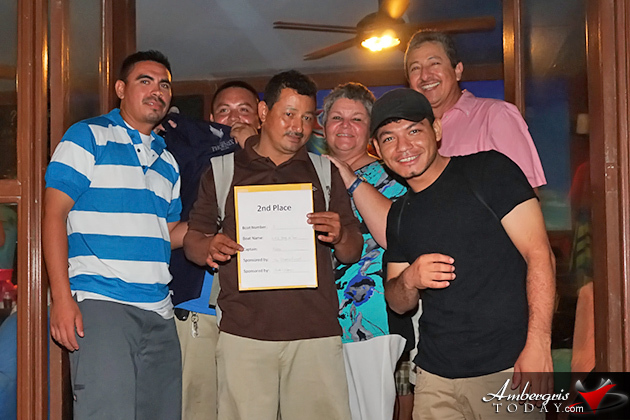 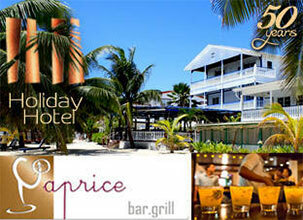 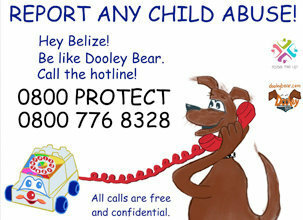 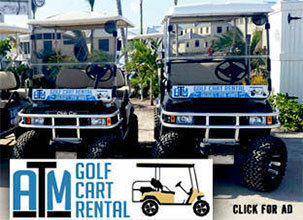 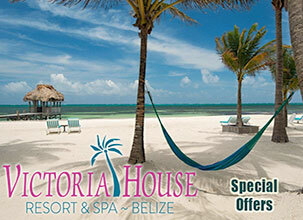 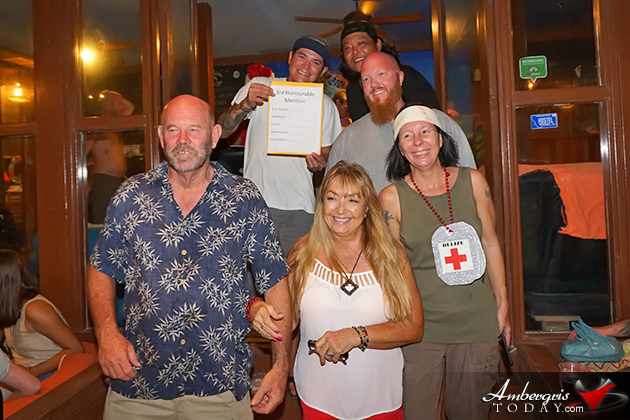 They were on board the Caye Da Di Sea which was sponsored by Dooley Bear Adventures. 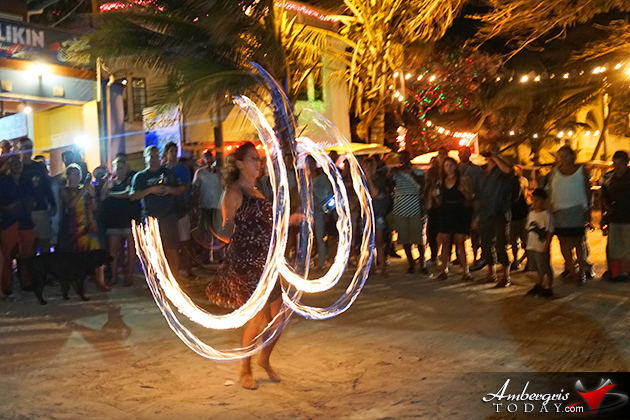 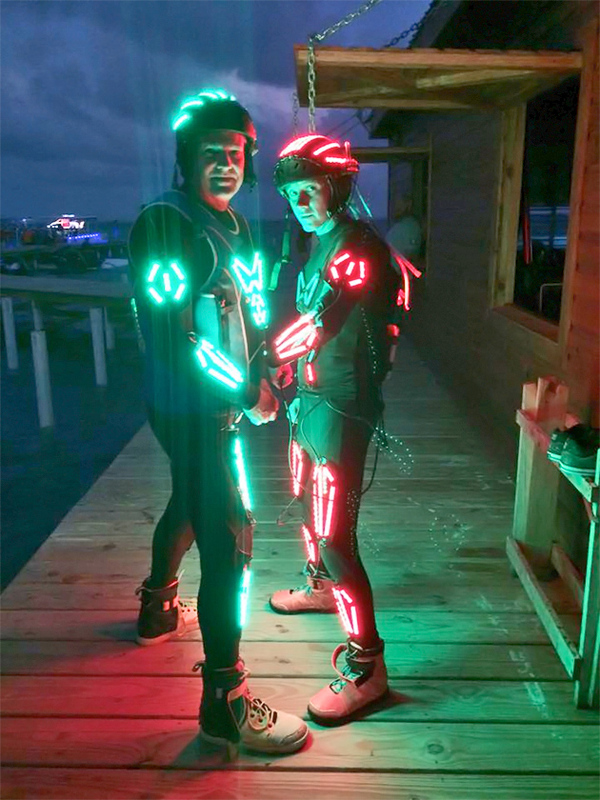 Nothing short of a spectacular show of lights on the sea, the Holiday Boat Parade stepped up its entertainment by providing a SUPER light show by world class flyboarders Mark and Kristen who stunned the crowds with their acrobatics in the water. 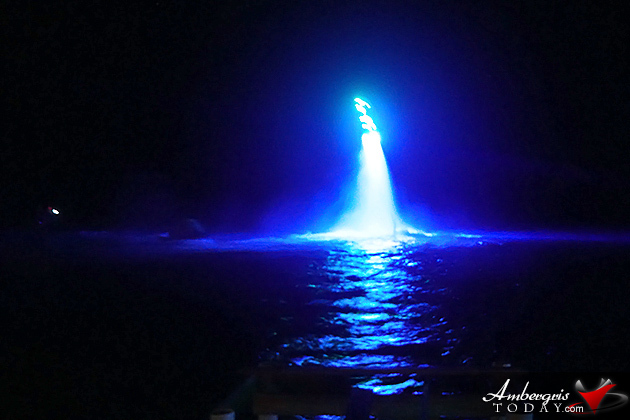 With their lighted wet suits jet packs they looked like ghostly spacemen in the dark night as powerful jet skies propelled them into the air. 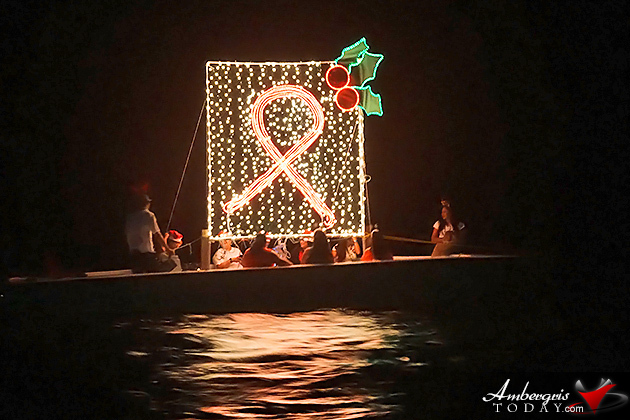 There were nine boats in the competition this year and as usual hundreds of residents and visitors who crammed onto piers, beach areas and viewing stations to enjoy the spectacle of lights on the water. 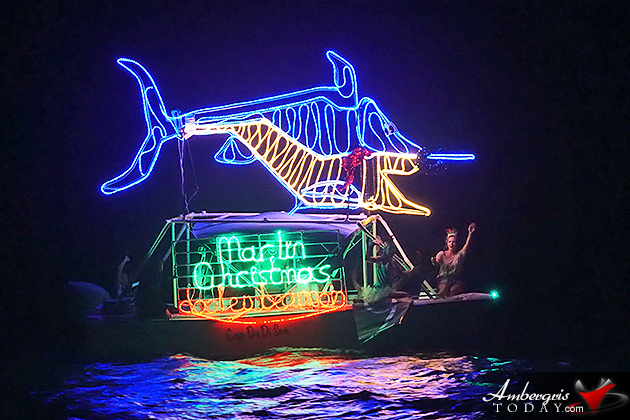 Lighting up the parade was a giant whale shark, a coquettish mermaid, two large cocktail glasses, a friendly nurse, christmas trees, AIDS/HIV Commission ribbon and of course the winning marlin. 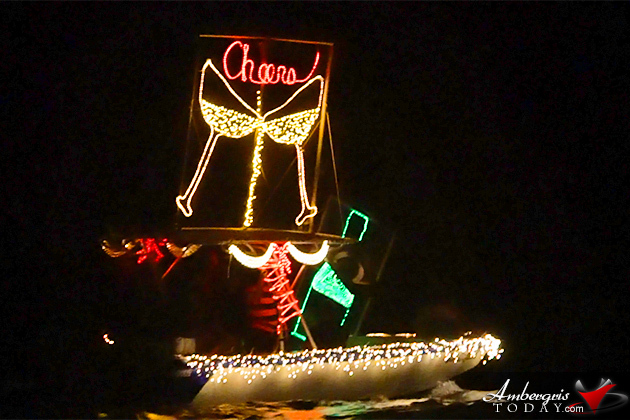 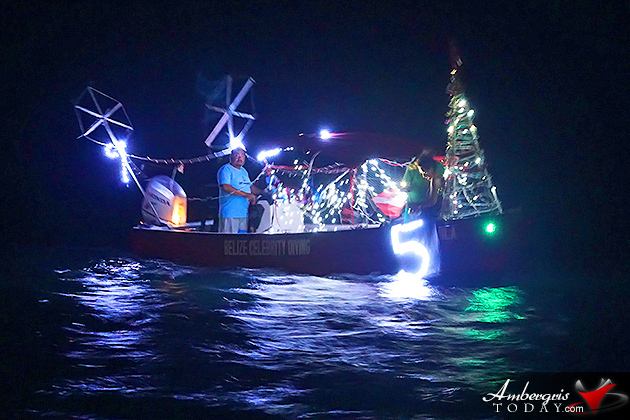 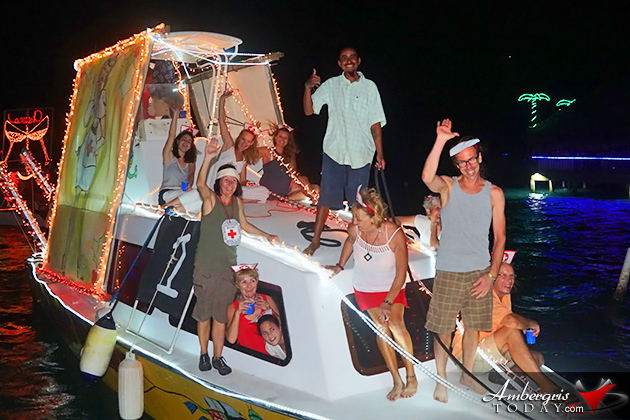 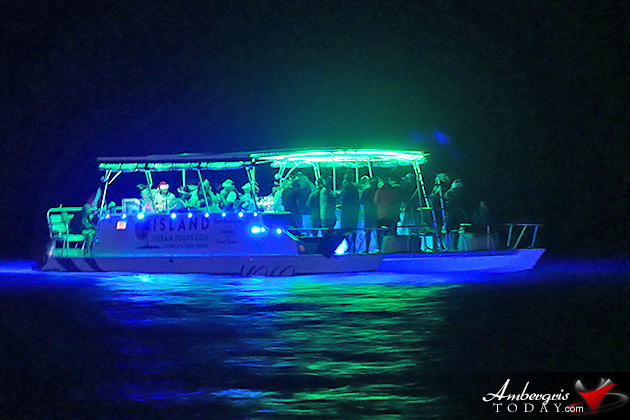 The San Pedro Holiday Boat Parade had another successful year. 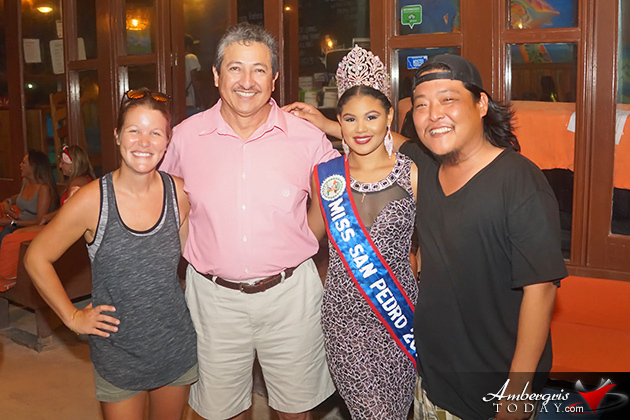 Judging the event were San Pedro Mayor Daniel Guerrero, Miss San Pedro 2016 Marisha Thompson, Editor of the Ambergris Today/iTravel Belize Dorian Nuñez, San Pedro Lions Club member Melanie Paz, Associate Editor of The San Pedro Sun Mary Rodriguez and San Pedro Scoop’s Rebecca Coutant.